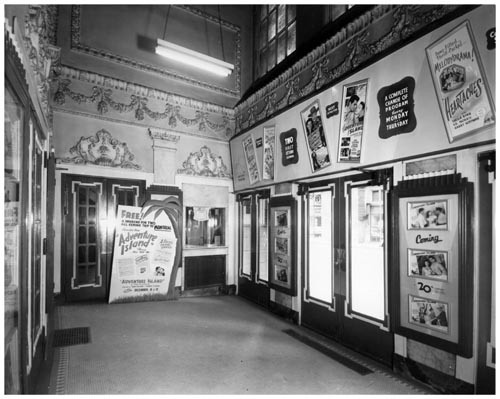 Opened August 24, 1914 as “Canada’s Theatre Beautiful”, the Imperial Theatre seated 1,091, and was Ottawa’s classiest movie theatre until the opening of the Loew’s in 1920. For years it catered to children with Saturday serials. 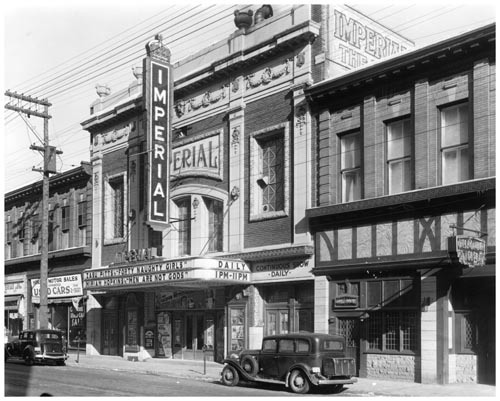 The Imperial closed as a movie theatre in 1955, the building is still in existence. 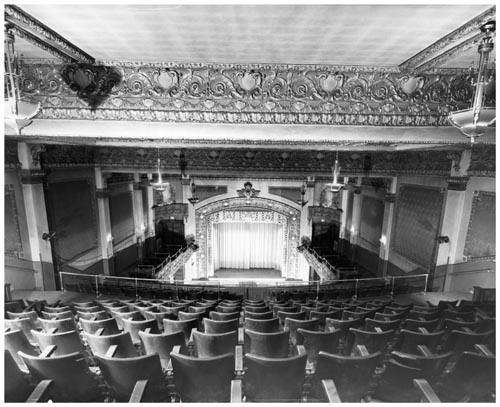 It was split horizontally to accommodate retail uses along the sidewalk while the Beaux-Arts auditorium upstairs is still largely intact and since 1978 has functioned as Barrymore’s Music Hall, one of Canada’s top live music venues. Using the former balcony area which is now a multi-tiered room with 6-levels on 3 floors, the capacity is now 400.